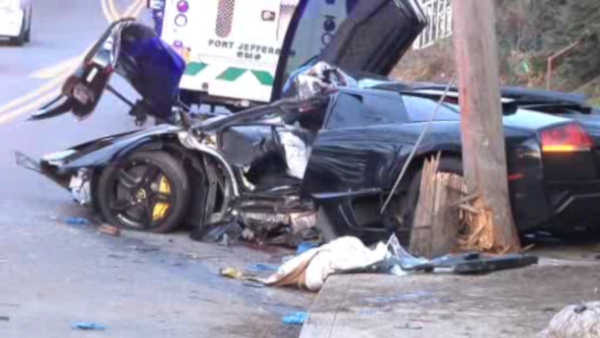 PORT JEFFERSON (WABC) -- Police are investigating a deadly Lamborghini crash in Suffolk County. The driver, identified as 48-year-old Glen Nelson, apparently lost control of the luxury sports car, slamming into a telephone pole in Port Jefferson on Sunday afternoon just after 3:30. Nelson was taken to the hospital, where he was pronounced dead. The vehicle was impounded for a safety check and the investigation is continuing. Detectives are asking anyone with information on the crash to contact the Sixth Squad at 631-854-8652.